What else would you want to do for celebrating your new year than going on a refreshing road trip to the scenic mountains if you had the opportunity? That is exactly what we did on January 3rd as a part of our new year celebration. For many trekkers and adventure seekers, consumed by wanderlust, across the world, Nepal remains a far-away wonderland, a place where one wishes one will go someday. Remember Bob Serger’s Katmandu and the Hippie Trail that ended in the narrow streets of Kathmandu? Nepal still remains a top priority in all kinds of most-visit-places bucket lists. 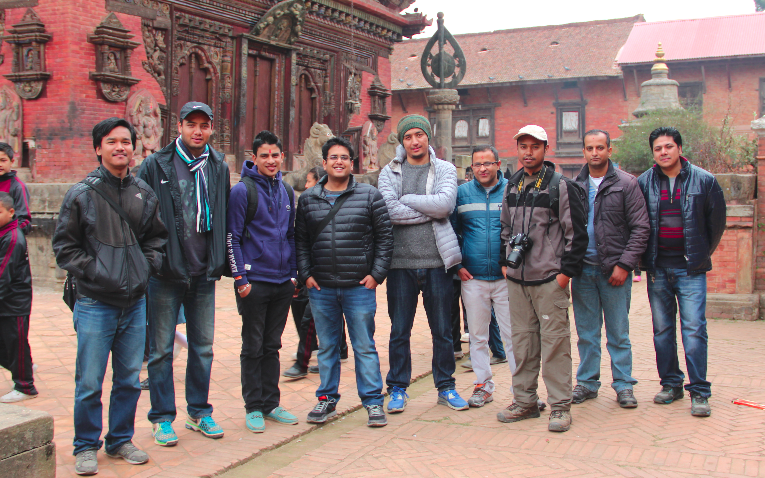 Fortunately enough, we are based in Kathmandu, the capital city of Nepal. Fortunately enough, we didn’t have to schedule our plans long in advance, or take a vacation, or even worry much about the expenses. Set your foot out, and you are out there. We made our new year plans, and, in a couple of days, a rental microbus whisked us away to Nagarkot, the much-coveted vacation spot among the Kathmanduites, 32 km away from Kathmandu in the eastern foothills. We left Kathmandu early in the morning. The valley gets chillier in mid-winter. It drizzled a bit on the way, a good omen in the popular belief, adding an exotic vibe to our trip. As we drove past Bhaktapur, our road went meandering on and around the rolling hills, and scenic views began unfolding before our eyes—forested hills, terraced landscape; vividly colored wheat, mustard, and vegetable fields; scattered traditional-style houses; serpentine rivers and many more. After having taken tea and snacks at a roadside tea shop at Telkot, we left our vehicle behind, and commenced on our hiking on a dusty trail uphill. For all of us it was the most joyful and memorable part of the trip, which took us about one and a half hours to complete. With the increasing elevation, the fresh air on our sweat-soaked body felt greatly exhilarating. We walked past the pine and oak forests, small hamlets and green pastures, and spots that offered us a bird-eye-view of the valley, rivers, and mountains that blended with the mist on the horizon. And, finally, walking through the slate-paved steps of the souvenir bazaar, we came face with the grandeur of the ancient temple of Changu Narayan, one of the UNESCO-enlisted World Heritage Sites in Kathmandu, built around 3rd century AD. Walking around the brick-paved courtyard of the pagoda-style temple, we were awe-stricken to observe the level of sophistication of craftsmanship and architecture in the valley nearly two millennia ago. 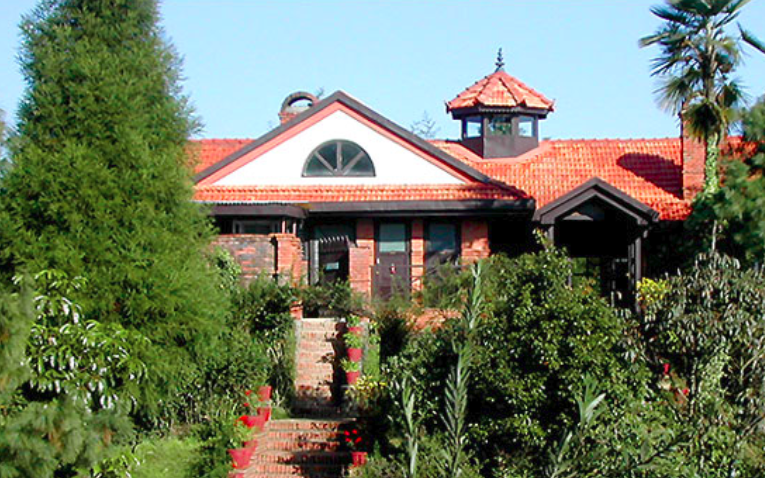 Nagarkot serves as a vantage point to appreciate the spectacular view of the Himalaya. If you are lucky, you would get to see 8 of the 13 wold-famous mountain ranges in Nepal from here. 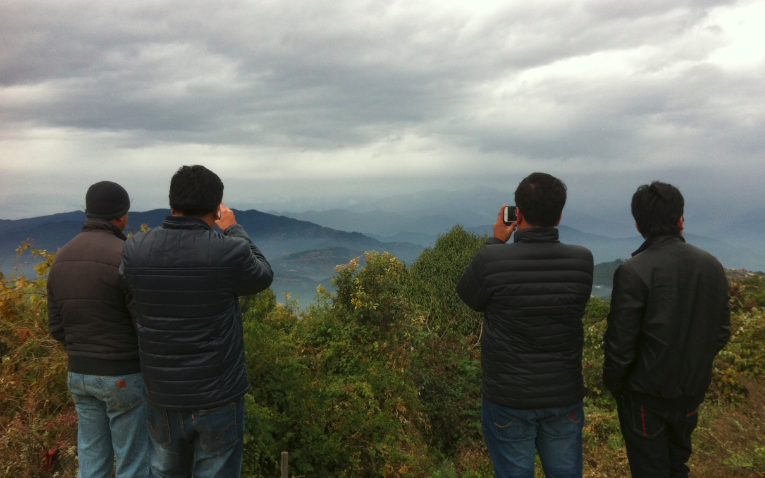 During holidays, a big crowd of sightseers gathers on Nagarkot hilltop to view sunrise and/or sunset. Well, we were not very fortunate in this regard. Because the weather remained cloudy for the most part of the day, we could not see the majestic mountains in the north. Still, we enjoyed the magnificent view of the densely-forested hills, valley, meadows and gorges from the hilltop at an altitude of 2100m. The weather and the chilling wind made us feel as if we were suddenly catapulted to a different part of the world. At Club Himalaya, we feasted like the nabobs. The tables at The Tea House Inn of the Club were filled with holidaymakers, and the place was abuzz with the clinks of glassware and porcelains and with talks. Both the architecture and interior decoration of the place were designed in the typical traditional Nepali style, and the aroma of the local spices created a richer ambiance. We ordered Nepali dishes. Meanwhile, we passed hot snacks and chilled beers among ourselves until we got tipsy. What followed were spiced-up talks, eating, and passing over of more drinks. When we got out of the restaurant, it had begun to drizzle again. Clouds over the hills were moving dramatically, and the wind had gotten chillier and gustier. 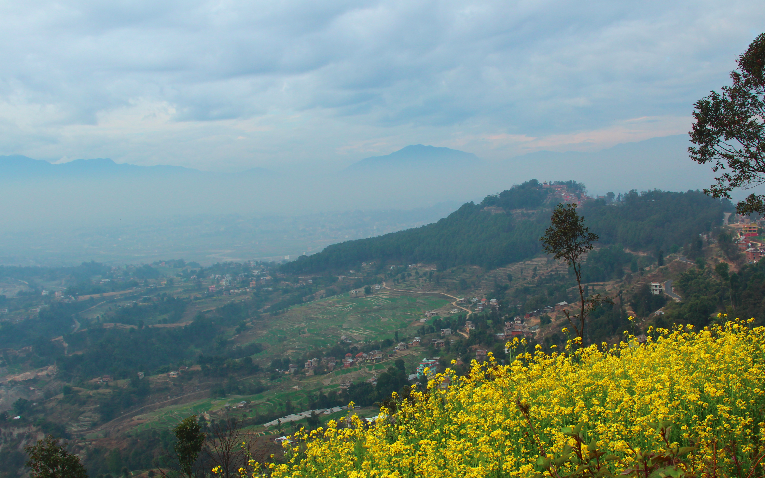 Before the dusk fell, we hurried back to Kathmandu through the winding road. The driver of the microbus was full of jokes again. 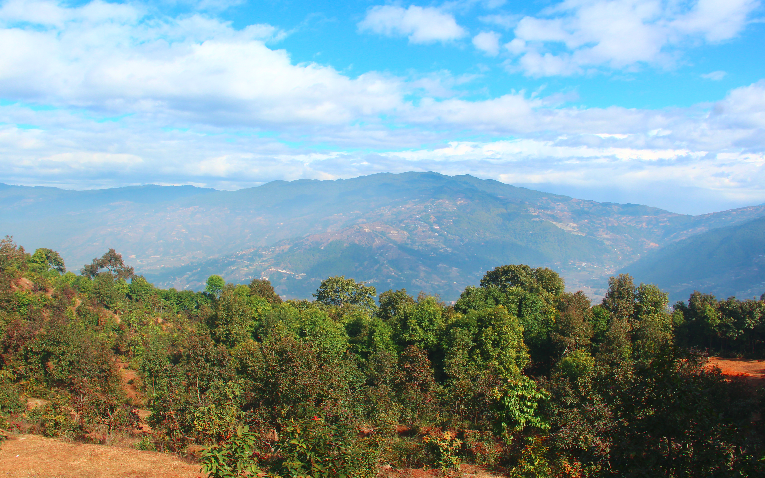 It had indeed been a wonderful new year trip to Nagarkot, a brisk escape from our fixed and framed routines.